Clearly makes a visible difference in the breakdown of stubborn substances that stick to automotive glass. One towelette cleans 25 sq. 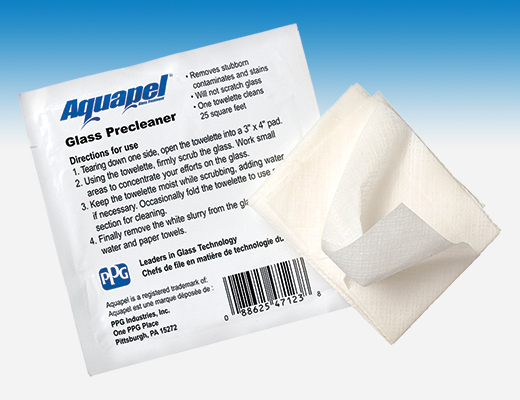 ft.
AQUAPEL ® Glass Precleaner Towelettes help to break down the hardest to clean substances that cling to automotive glass - the ones that smear and prevent thorough cleaning. And they're easy to use - just firmly scrub, then wipe away with water and paper towels.